School bells are ringing! It’s that time of year again, and we have shopped until we DROPPED getting the kids ready for school. As you may have seen on my Instagram, my youngest daughter has officially started pre-school, and I feel like an accomplished, proud Mama Bear! Having four children all under the age of eight years old is difficult at times, but keeping these tips in mind help out greatly in preparing for the new school year. 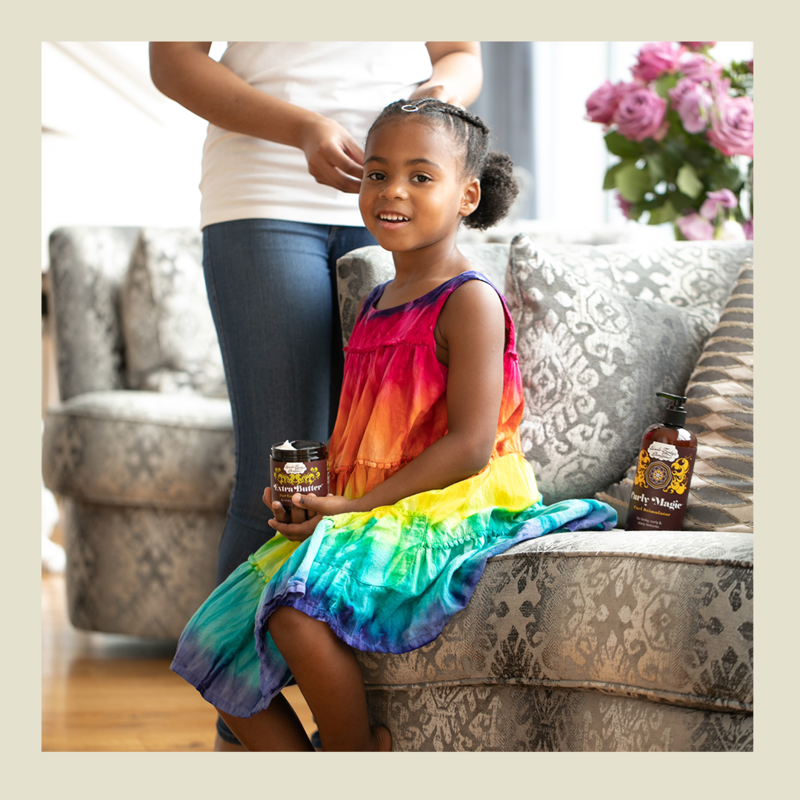 Prepping your kids’ hair the night before is the best method; just refresh in the morning! Nip it in the bud! If there’s a bad habit that your kids (or you) have on school nights/mornings, do your best to eliminate it. Snoozing that 7 a.m. alarm? Are your kids staying up past bedtime? It happens to all of us! However, if we hadn’t gotten ahead of these habits, our family would have unproductive mornings that start out slow from laziness… Resulting in a chaotic frenzy later in the morning. Set the rules now, and thank yourself later. Make time in order to save time. Once you’ve gotten everyone to bed, make those lunches, pick out those clothes and shoes, and if it helps, make it a team effort with hubby! I also try to check the kids’ backpacks for field trip permission slips, homework and event notices. It works best when I take this time to pick out my outfit, and prepare my own bag for work. Knock it out early and pat yourself on the back tomorrow morning. Make sure the little ones have all the tools they need for learning. This is quite a task, but back to school shopping is actually one of my favorite times of year! There’s a special kind of excitement we all get when zipping through Target for cool backpacks and fresh, new supplies, but I feel it most because I feel like I’m setting them up for success. Cherish these moments, they won’t be around forever! We’ve got your back during this busy time! Shop our annual Back to School sale with this code and get 15% off! Parenting is a process. It is rewarding for us to see the growth of our children physically, mentally and emotionally, and school plays a big part! I wish you all a fruitful school year and hope these tips help make it a little easier. Happy Back to School! Next → Next post: Every Curly Girl Has A Story!